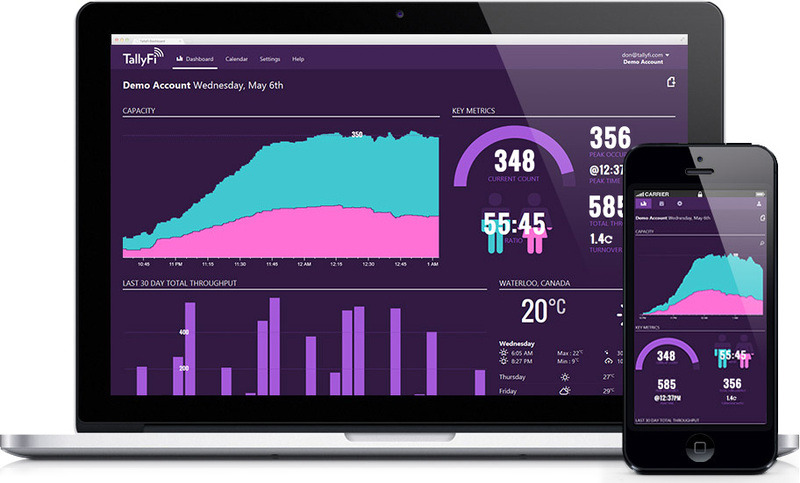 TallyFi records detailed capacity data for nightclubs, and other venues, to help analyze trends and increase profits. and an active monthly subscription ($99 per venue) at TallyFi.com for continued operation. 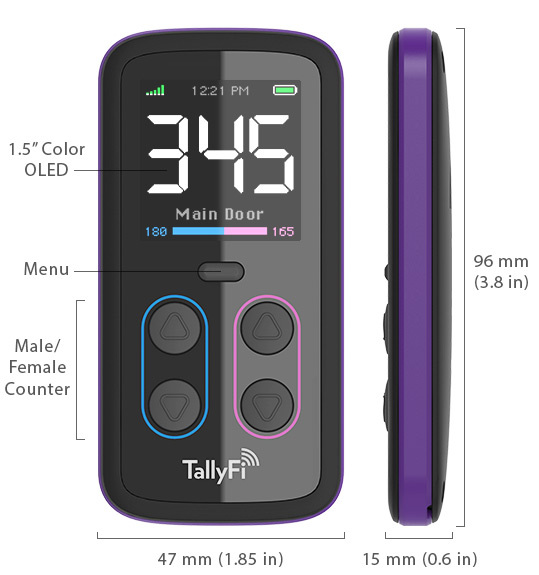 Built for a single purpose, TallyFi tracks your door count so you can focus on your business. It’s designed to mimic the simplicity of a mechanical tally counter, while unlocking the potential of real-time analytics. See real-time statistics on customers entering and exiting your venue. Separate tracking options for male and female visitors allow you to maintain a balanced ratio or measure the effectiveness of a targeted promotion. Automatic data logging to our online dashboard allows for deep analysis of past and present data so you can make informed game-time decisions or plan long-term campaigns. Run a large, multi-entrance venue? No problem. Sync multiple TallyFi counters and maintain a single accurate count. No more uncertainty. TallyFi’s sole purpose is to seamlessly aggregate your capacity data – it really can be this simple. No more texting your door guy to find out if you’re at capacity. Built to last, our WiFi connected hardware is easy to use and fast to set up. The drop-softening silcone band is durable enough to withstand your most demanding security staff and the integrated battery will run days, or even weeks, between charging. The simple, click-response buttons make it easy for your bouncers, hostess or ticketers to keep on top of busy lines – whether TallyFi is in their hand or pocket. This isn’t another clunky device slowing down your throughput, it’s a replacement for all the time-consuming double checks you’ve put in place just to know who’s in your venue. Have multiple entrances and exits? Multiple TallyFi counters sync together ensuring you always maintain an accurate count. 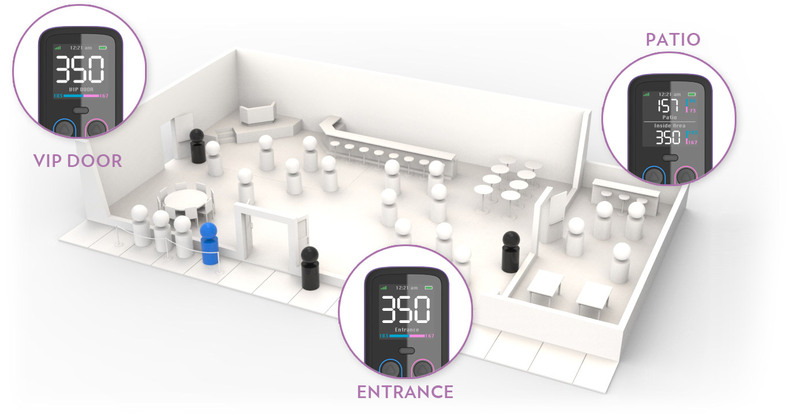 TallyFi counters can handle even the most complex venue layouts. Keeping track of multiple connected areas is possible using TallyFi’s dual-count mode. Seamlessly manage the flow of customers and increase your sales-per-guest. TallyFi helps venue owners understand and maximize their customer throughput by providing an advanced people counting system. Visit http://tallyfi.com/ to get started.